The key to combating malnutrition and poverty is in promoting indigenous vegetables, World Vegetable Centre Director General Dr Dyno Keatinge, said in Brisbane this week. 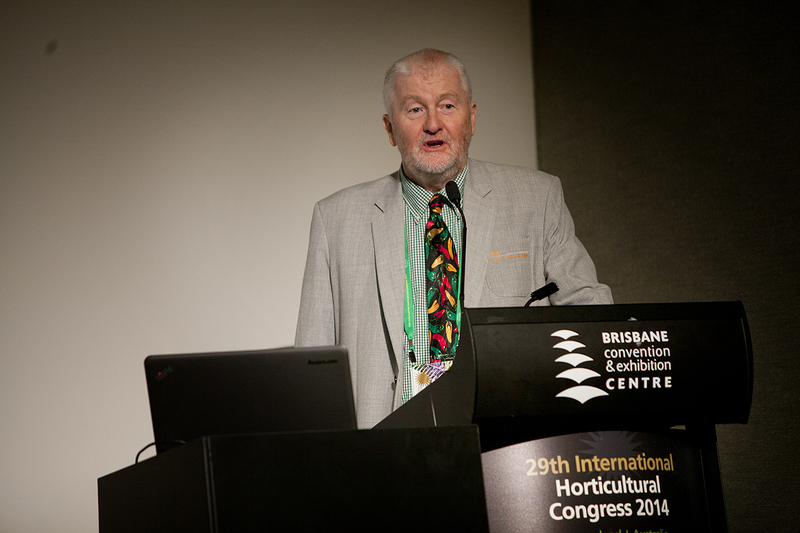 Dr Keatinge told the International Horticultural Congress the Asian Vegetable Research and Development Centre (AVRDC ) –popularly known as the World Vegetable Centre was dedicated to promoting the health benefits of indigenous vegetables in developing countries. “Our goal is to try to make nutritious fruit and vegetables, not only accessible, but available to all,,” Dr Keatinge said. He stressed the role played by indigenous vegetables with high levels of nutrients, in many countries with large populations suffering from malnutrition. “For example, the very poor, in Tanzania, about half their nutritional needs in terms of iron, zinc and vitamin-C come from indigenous vegetables,” Dr Keatinge said. Dr Keatinge oversees the AVRDC HQ in Taiwan, the largest public seed bank, holding in its collection more than 62,000 vegetable germ plasm and 400 vegetable species . Despite already holding an impressive collection of seeds, he said collecting good quality indigenous seed was proving difficult. “Seed is a big problem. Where do we get quality seed from how can we deal with that,” he said. Dr Keatinge said it was important for AVRDC to cultivate indigenous vegetables and expand the range of species had germ bank to ensure the survival of indigenous vegetables into the future. “We’re only exploiting a very small subsection of the germ plasm at the moment we can do so much more,” he said.